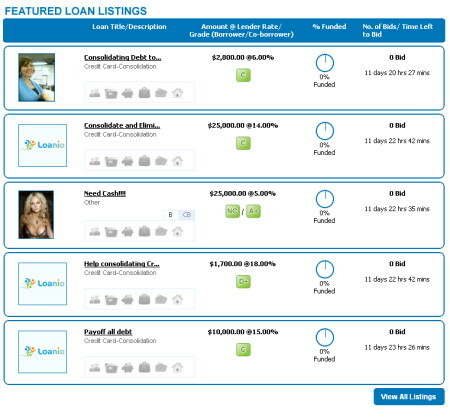 After the Loanio launch yesterday, already some more loan listings are up at Loanio.com. Right now I count 8 listings. Probably more are in the making. No bids yet, which is not surprising as the lenders have to sign up and transfer money to Loanio first. Michael Solomon, the CEO and founder of Loanio had a lucky week according to the Loanio blog – not only did he launch Loanio, but he also won $1,000 in the New York State Lottery.